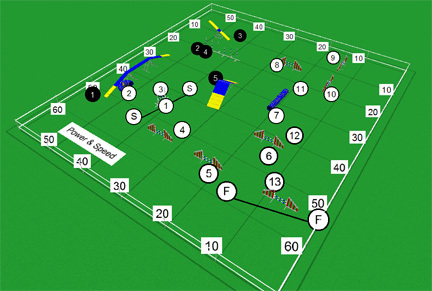 It used to be I could click on an obstacle or object on the course map, or select a group, and then nudgethem in 1′ increments using the arrow keys. This was very useful for getting exactly the desired measured distance between obstacles, while maintaining the alignment of obstacles.Unfortunately in this new release the obstacles are locked to the underlying grid. And so, they will no longer nudge. In case you prefer them, CRCD 3 style tunnels are available again in CRCD 4, starting with version 4.13. You can still nudge obstacles with the keyboard in CRCD 4, it’s just that to do that, you now hold down the shift or shift and control keys, in addition to an arrow key. See CRCD 4’s “Moving Shapes” help topic. You don’t need to do a print screen in order to get a 3D image. To save as a 3D image, first make sure that you’re viewing the course in 3D, then use the “Save As” command, and save the course as a .bmp, .png or .tif . Most importantly, you don’t need to continue to use CRCD 3 just to be able to send courses to people who only have CRCD 3. CRCD 4 can save courses in the CRCD 3 format, or copy the course to the clipboard in the CRCD 3 format. See the “Creating Course Designer 3 courses with Course Designer 4” section of the “Use with Course Designer 3” help topic. These features are more easily used starting with version 4.13, which no longer requires opening a CRCD 3 course in order to activate the CRCD 3 course format features.